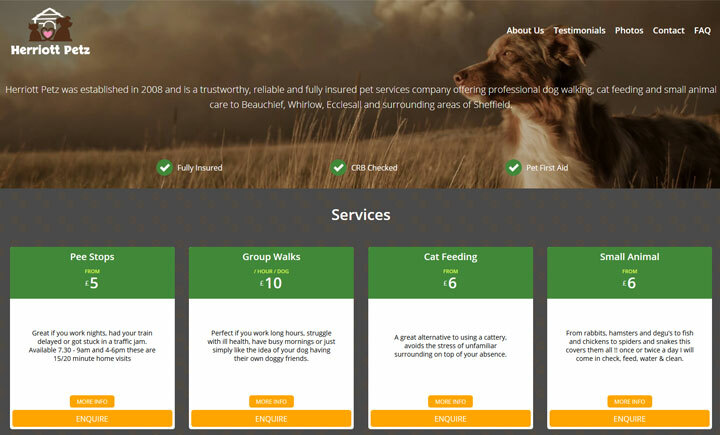 Established in 2008 by Louise Herriott, Herriott Petz is a trustworthy, reliable and fully insured pet services company offering professional dog walking, cat feeding and small animal care to owners in Beauchief, Whirlow, Ecclesall and surrounding areas of Sheffield. Our dog walks vary, but we mostly use Ecclesall woods, Whirlow and Ringinglow. Walks are 60mins except in bad weather when they are 45mins to allow for cleaning and drying.